On June 17, 2011, Texas Governor Rick Perry signed into law the Texas Assignment of Rents Act (TARA). Dubbed the "most significant finance-related bill" of the 82nd Texas Legislature's last session in the Texas Bar Journal's Legislative Update, the TARA clarifies some ambiguous case law regarding the status of assignment of rents. The TARA should benefit both creditors and borrowers in Texas by making assignments of rents in Texas much simpler and more straightforward. Under the new law, every deed of trust, mortgage, or other instrument evidencing a lien against real property in Texas (with certain exceptions) includes a collateral assignment of rents to such real property unless otherwise stated in the instrument itself. Such assignment of rents creates a presently effective security interest in all accrued and unaccrued rents arising from the real property, which security interest is separate and distinct from any security interest in the real property itself. The security interest in the rents is perfected upon filing in the county in which the real property is located. The TARA, codified as a new Chapter 64 of the Texas Property Code, was inspired by the Uniform Assignment of Rents Act (UARA), which was written by the National Conference of Commissioners of Uniform State Laws. The TARA is much shorter than the UARA and more tailored to Texas property law concepts generally, however. Luckily, thanks to the TARA, Texas lenders no longer need to worry about many of these issues that once complicated assignments of rents in Texas. The October issue of Entrepreneur magazine has some good news for the future of the Texas economy. Texas based universities made an impressive showing in the Princeton Review's top 25 entrepreneurship programs in the country as reported by the magazine. According to this blogger's count, 3 of the top 25 undergraduate programs (Houston (1), Baylor (3) and TCU (21)) and 3 of the top 25 graduate programs (Texas (8), Rice (9) and Acton (13)) are based in Texas. Since entrepreneurship is the engine of economic growth, it is encouraging to know that some of the top young talent is graduating from programs right here in the Lone Star State. Just as every golfer has felt the frustration of waiting for another golfer to swing their club, every veteran of merger and acquisition transactions has felt the frustration of waiting for the all of the parts of the transaction to come together for a closing. Typically, many parties are involved in an M&A transaction, including buyers and sellers, lawyers, bankers, accountants, appraisers, title companies, and potentially many others. The deal may need to be approved by boards of directors, shareholders, creditors, landlords, regulatory authorities, or others. Thus, you may find yourself waiting on any number of deal participants. An experienced M&A lawyer prepares a detailed closing checklist, anticipates and addresses potential bottlenecks that might delay closing, politely but persistently reminds other deal participants of their responsibilities, keeps the deal moving forward, and keeps the client informed on the status of the transaction. A seller in an M&A transaction should scrub up its business records with the same zeal that Judge Smails expects Porterhouse to apply to shining shoes. A well represented buyer is going to conduct detailed due diligence review during which the seller’s problems are likely to come to light. It is much better for the seller, and the seller’s reputation, if any bad news comes from the seller rather than as a result of an audit by the buyer’s accountants or other representatives of the buyer. The seller will want to put the seller’s best foot forward. That means business records should be as complete, accurate, and organized as possible. And of course, the seller can make Judge Smails happy by assuring that its business records are free of wax build up. When things go badly for the target of an acquisition after the closing, the buyer may share Judge Smails’s sense of moral obligation with respect to the seller. For example, the buyer may refuse to pay the seller the earn-out portion of the purchase price if profits fall short of expectations. As the buyer learns more about the target company and its operations after the closing, the buyer often becomes aware of breaches of the seller’s representations and warranties. Like Judge Smails, the buyer may feel it owes it to the seller to sue and seek indemnification from the seller under the purchase agreement. Too often, sellers take too little time reviewing the representations and warranties in an M&A purchase agreement because they think their company is “clean” or the target company has “never had a problem.” Like Judge Smails, sellers think they will never slice. But guess what? There is a first time for everything. And with new management of the target company after the sale, sometimes new problems emerge or old problems are uncovered. When that happens, the seller will be glad if the seller carefully reviewed the representations and warranties and reasonably limited the representations and warranties with qualifications as to the seller’s knowledge and materiality. Failure to carefully review the representations and warranties and related disclosure schedules in a purchase agreement can truly be a gamble for the buyer or the seller. On July 29, the Fort Worth Business Press published an article I wrote titled "Texas Supreme Court Ruling May Surprise Landlords," which is available here. 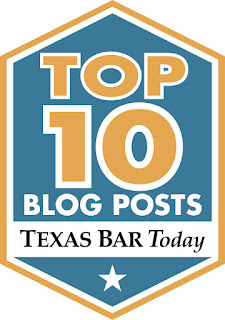 The article discusses a very interesting recent Texas Supreme Court case in which a tenant sued a landlord for failure to disclose the existence of "ungodly" sewer gasses at the space the tenant had planned to use as a restaurant. In fact, the landlord's representative said that the location was "perfect" for a restaurant. The lease was silent as to the existence of smells at the property, and the lease provided that the landlord made no representation or warranties outside of the lease. Nonetheless, the court ruled that the landlord's misrepresentations prior to the execution of the lease amounted to fraud and that "fraud vitiates everything it touches" - including contrary provisions in the lease itself. This is an important cases for parties conducting business in Texas because it reminds us that Texas courts may not enforce contracts tainted by fraud or other misrepresentation even if the misrepresentation occurs outside of the contract itself. Thanks to the Fort Worth Business Press for publishing the article. I just stumbled upon a statistic that will be discouraging to those of us in the Dallas-Fort Worth venture capital community. The Dallas Business Journal recently reported that DFW companies raised only $714 million in 38 venture capital tranactions in 2010. That's down from $2.8 billion in 137 transactions in 2000. Hopefully, that means the venture arrow can only point up from here! Special thanks to the Dallas Business Journal for publishing my work. It’s important that the board of directors of a Texas corporation correctly determine the amount of corporate funds available for distributions because directors may be held jointly and severally personally liable for distributions in excess of the amount permitted by law (Section 21.316 of the Texas Business Organizations Code (TBOC)). Generally, a Texas corporation may make distributions in an amount by which the value of its net assets exceeds the aggregate par value of the corporation’s outstanding stock. That’s the answer, but the TBOC does not make it particularly easy to get there. Let’s walk through the daisy chain of definitions in the portion of the TBOC which provides rules for distributions from a Texas corporation, Title 2 (Corporations), Chapter 21 (For-Profit Corporations), Subchapter G (Distributions and Share Dividends)(a/k/a Section 21.301-318 of the TBOC). A Texas corporation may not make distributions that would make the corporation insolvent or that would exceed the corporation’s distribution limit, except upon winding up and termination of the corporation (Section 21.303 of the TBOC). A corporation’s “distribution limit” is generally equal to the corporation’s surplus, with certain exceptions (Section 21.301 of the TBOC). A corporation’s “surplus” is the amount by which the net assets of the corporation exceed the stated capital of the corporation (Section 21.002(12) of the TBOC). A corporation’s “net assets” is the amount by which the total assets of the corporation exceed the total debts of the corporation (Section 21.002(9) of the TBOC). A corporation’s “stated capital” is the sum of (a) par value of all shares issued by the corporation, plus (b) the aggregate consideration received by the corporation for the issuance of shares without par value, reduced by any portion of such consideration that the board properly allocates to surplus, plus (c) any additional amounts added to the corporation’s stated capital by share dividends or board resolution (Section 21.002(11) of the TBOC). One often sees general partnerships in which the general partner owns 1% or even 0.1% of the limited partnership. But may the general partner of a Texas limited partnership own 0% of the limited partnership? Every general partnership must have at least one general partner. The general partner is generally responsible for managing the limited partnership and faces unlimited liability for the debts of the limited partnership if the limited partnership is unable to pay its debts. So why would a person agree to serve as a 0% general partner – getting all of the downside but none of the upside of the limited partnership? Typically a 0% general partner is also an affiliate of one or more of the limited partners who do enjoy part or all of the upside of the partnership. Foreign entities transacting business in Texas must register with the Texas Secretary of State's office. For purposes of the Texas Business Organizations Code (TBOC), a "foreign" entity is any entity formed under the laws of another jurisdiction, such as a Delaware limited liability company or a Nevada corporation. Drafting Tip: Indemnified Affiliates or Third Party Beneficiairies? Can a party be an indemnified affiliate of a contracting party but not a third party beneficiary of that contract? A recent New York case (Diamond Castle Partners IV PRC, L.P. v. IAC/InterActiveCorp, 2011 N.Y. App. Div. LEXIS 1542 (2011)) highlights an interesting legal drafting issue that comes up often in deal documents. (2) There are no third party beneficiaries of the purchase agreement. So when Diamond Castle, an affiliate of Panther, sought indemnification for an alleged breach under the purchase agreement, IAC argued that statement (2) above controlled. Obviously, Diamond Castle argued that statement (1) controlled. The New York court agreed with Diamond Castle, reasoning that the only logical reading of the agreement was that affiliates of Panther were intended to be indemnified and that such indemnified parties were therefore not "third parties" for the purposes of statement (2). Regardless of the results in this particular case, drafters of purchase agreements can remove any ambiguity on this point by more careful drafting. When drafting agreements, consider including a carve-out to the "no third party beneficiary" provision to specifically except third parties indemnified under other provisions of the agreement. Special thanks to Jonathan P. Gill, Michael C. Hefter, and Kelly Koscuiszka of Bracewell & Giuliani LLP who brought the Diamond Castle case to my attention. May a Texas entity issue stock or other ownership interest in bearer form? No. Section 3.202(f), which prohibits ownership certificates in bearer form, was added to the Texas Business Organization Code (TBOC) September 2009. "Bearer form" means that the certificates have no registered owners - they are owned by any party who "bears" the certificate. This provision to the TBOC was added in part because law enforcement officials objected to parties being able to disguise the actual ownership of business entities through the use of bearer ownership. Bearer certificates might also make theft of certificates easier. For example, although it involved debt rather than equity, it was the theft of bearer bonds that was at the heart of the plot of the movie Die Hard. Had the bonds been issued in registered form rather than bearer form, Bruce Willis's character might have had a much less eventful Christmas holiday. Let's say you are an officer or director of a privately held company in Texas. Can you sell shares of the Company to another officer or director without registering the sale or otherwise making a filing with the Texas State Securities Board? Probably so, but the answer is not nearly as obvious as you might think. As a reminder, all sales of securities must be registered or exempt from registration. Even if a sale is exempt from registration under federal securities laws, one must also register or find an exemption from registration under applicable state securities laws, such as the Texas Securities Act. The Texas Securities Act provides a number of exemptions from registration, but most of the exemptions are not available for affiliates (such as officers and directors) of privately held companies. Let's walk through some of them. Most of the exemptions are available only to the issuer of the securities, so those won't help you. Rule 139.13 provides an exemption for sales of securities that comply with the SEC's Rule 144, but affiliates of the issuer cannot rely on Rule 144 unless "current public information" regarding the issuer of the securities is available - that's virtually never the case for a privately held company. Rule 139.14 provides an exemption for a limited number of sales of securities by non-issuers, but affiliates of the issuer who wish to rely on this exemption must file a Form 133.34 with the Texas State Securities Board. Fortunately, we have Section 5.C(1) of the Texas Securities Act, which exempts "[s]ales of securities made by or in behalf of a vendor, whether by dealer or other agent, in the ordinary course of bona fide personal investment of the personal holdings of such vendor, or change in such investment, if such vendor is not engaged in the business of selling securities and the sale or sales are isolated transactions not made in the course of repeated and successive transactions of a like character; provided, that in no event shall such sales or offerings be exempt from the provisions of this Act when made or intended by the vendor or his agent, for the benefit, either directly or indirectly, of any company or corporation except the individual vendor (other than a usual commission to said agent), and provided further, that any person acting as agent for said vendor shall be registered pursuant to this Act;"
The Texas Securities Board has issued several opinions interpreting Section 5.C(1). Basically, a "vendor" under Section 5.C(1) appears to mean anyone who sells securities held for personal investment. Unfortunately, the statutory language quoted above is simply not very clear. Mythbuster: the "Limited Liability Corporation"
Occasionally I'll hear someone describe a company as a "limited liability corporation," and I'll cringe like an English teacher who has just heard a student split an infinitive. Or like anyone who hears the sound of fingernails on a chalkboard. 1. Taxes. Although an LLC can elect to be taxed as a corporation, LLC's typically choose to be taxed as a partnership (if the LLC has more than one member) or as a disregarded entity (if the LLC has a single member) for federal tax purposes. Generally, that means income generated by the LLC is taxed just once - each member pays tax on the portion of the LLC's income attributable to such member's percentage ownership of the LLC. Conversely, earnings of a corporation are taxed twice - once to the corporation when it earns the income, and second to the shareholder of the corporation when the shareholder receives dividends from the corporation. 2. Governance Flexibility. The rules for operating and managing a corporation are very strict and set out in length in the corporate statutes of the corporation's state of incorporation. Those rules typically can be modified by contract among the shareholder's of the corporation only in limited circumstances. On the other hand, LLC statutes are typically very flexible and generally permit the members to enter into company agreements which provide for all sorts of operating and management arrangements. For example, corporations are virtually always managed by the corporation's directors, while an LLC may choose to be mananged by its members or by managers. Accordingly, an LLC is often the business entity of choice. Just don't call it a limited liability corporation! Is Your Fate "Sealed" in Delaware? Have you ever seen the word "Seal" on a signature page to a contract? Have you ever wondered what that word means? It turns out it means quite a bit under Delaware law. Stamping a contract with a corpoate seal means that the contract or instrument is extra official. Contracts "under seal" can subject to a 20-year common law statute of limitations rather than the typical 3-year statutory limitations period in Delaware. In the case of an individual, merely writing the word "Seal" next to that person's signature is enough to create a sealed contract under Delware law. That result came as a bit of a surprise to legal practitioners when the Delaware Supreme Court made that decision in the 2009 case of Whittington v. Dragon Group, L.L.C. The 3-year statute of limitations, which includes a carve out for records or instruments "under seal," can be found in Title 10 (Court and Judicial Procedures), Section 8106 of the Delaware Code. Parties to contracts governed by Delaware law would be wise to look for the word "Seal" on the signature page of the contract and understand its far-reaching implications. Dilution is not something to be feared. It is something to be respected. Let me explain. Dilution is a much talked-about topic among company founders, angel investors, and venture capitalists. Founders are understandably fearful of any dilution of their stake in the company. A company's founder always starts off owning 100% of the company. Then, the founder may sell off pieces of the company to key executives and employees, strategic partners, sources of equity capital, and others. Each time a new party gets new shares of stock from the company, all of the existing shareholders get diluted and own less of the company. At first glance this seems bad - the founder used to own 100% of the company and now he owns less, often much less. But what did he get in return? Hopefully, by issuing stock to key executives and employees the founder was able to recruit and retain a highly motivated management team. By issuing stock to strategic partners the company got access to exciting new markets. By issuing stock in exchange for equity capital, the company got the funds it needed to complete its prototype, or to build its new factory, or to compensate its sales team. 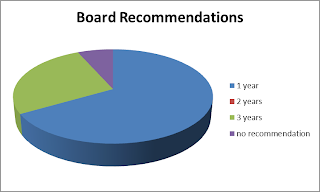 Any time a company issues new stock the company's board of directors must evaluate whether or not the issuance will expand the size of the pie (the equity value of the company) enough to justify diluting the amount of the pie held by existing shareholders (their repsective percenatge ownership of the company). Of course, no company has a crystal ball, and stock issuances do not always benefit the company. If the board does its job correctly, however, dilution (along with the issuance that caused the dilution) will actually benefit the existing shareholders. Bill Gates no longer owns 100% of Microsoft, but I imagine that he is quite pleased with the value of the 7% of Microsoft that he owns as of the company's most recent proxy statement! Have you ever wondered if clicking "I accept" on a website was legally binding? Or when can you "sign" a document by fax or e-mail? I presented a paper to the UT-CLE Securites Regulation Conference earlier this month on E-Corporate Law. The paper analyzes Texas, Delaware, and U.S. federal law regarding electronic contracting and electronic corporate formalities (such as directors taking action by unanimous written consent in lieu of a meeting). It includes an analysis of the Electronic Signature In Global and National Commerce Act (E-Sign) and the Uniform Electronic Transactions Act (UETA). Denise Voigt Crawford has been the Texas State Securities Board Commissioner since 1993. She will be stepping down this month after 17 years of service in that roll. I have had the pleasure of serving with Ms. Crawford on the Planning Committee for the University of Texas's Annual Conference on Securities Regulation and Business Law for several years, including serving on a panel with her discussing unregistered private offerings or securities and unregistered broker dealers at the 2010 conference. Ms. Crawford is a true professional and a national leader in securities regulation and investor protection. She will be missed. On January 25, 2011, the SEC proposed amendments to the definition of "accrdited investor" for the purposes of private placements under Regulation D and Section 4(5) (f/k/a Section 4(6)) of the Securities Act of 1933. As readers of this blog surely know, accredited investors are those more affluent investors who are deemed by the SEC to be sophisticated enough able to make investment decisions in private placements without the benefit of many of the issuer disclosure and registration requirments otherwise required by the Securities Act. For many years, among the parties who could claim accredited investor status was an investor who was a natural person with an invidual net worth, or joint net worth with that investor's spouse, in excess of $1,000,000. Until the adioption of the Dodd-Frank Act in July of 2010, an investor could include the value of his or her home in determining whether or not the $1,000,000 threshold had been met. As required by the Dodd-Frank Act, the definition of accredited investor now excludes the value of the primary residence of a natural person. The SEC's proposed rules go on to clarify that the statutorily required phrase "excluding the value of the primary residence of such natural person" should be interpreted to mean that the natural person's net worth should be "calculated by subtracting from the estimated fair market value of the property the amount of debt secured by the property, up to the estimated fair market value of the property." The purpose of the proposed rule changes are to (1) implement the definition change otherwise required by the Dodd-Frank Act, and (2) clarify that the investor's net worth will be calculated by excluding only the investor's net equity in the primary residence (not the entire value of the investor's home).